Sage, the UK’s leading business software and services provider, has announced a new partnership with The Royal Mail, in a joint vision to help small British businesses grow. 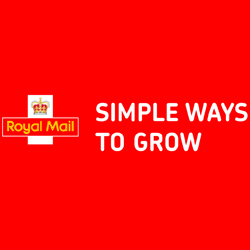 The Royal Mail launched ‘Simple Ways To Grow’ as an initiative to provide UK businesses with 0-10 employees access to services and discounted offers from market leading vendors. With no Payroll function in the proposition, The Royal Mail turned to Sage’s flagship suite of online services for small businesses, Sage One for a solution. Sage’s cloud-based Sage One Payroll software will now be available through the Simple Ways To Grow website and is fully integrated with other services and vendors available through the proposition. SMEs would benefit from the suite of services available through the Royal Mail proposition featuring market leading vendors and quality brands. Sage One Payroll is one of the few payroll packages that is RTI-compliant and will be the first payroll service available through the Royal Mail. The partnership is the latest in a string of high profile announcements from Sage since releasing the Sage One API. Royal Mail will join Google Drive, CustomerSure and Smeebi as the latest to offer integration with the Sage One software and customer base.